The 2018 November/December Dairy Partner/El Compañero Newsletter is now available online. This month’s newsletter focuses on helping cows stand and feed refusals. The Dairy Partner/El Compañero is a UW-Extension newsletter designed for dairy farm employees. 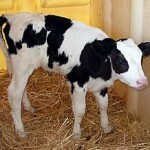 Written in both English and Spanish, the newsletter provides basic information about dairy cows, farm safety, and personal health to individuals who work on farms. Past articles are available on the web via topic category (calf care, herd health, milk quality, reproduction, feed & nutrition and safety). For more information regarding the Dairy Partner/El Compañero, please contact UW-Extension Jackson CountyAgriculture Agent Trisha Wagner. This newsletter is written and produced by UW-Extension Dairy Team, with generous financial support provided by Animart, Zoetis and UW Center for Agricultural Safety & Health. Due to the weather, the January 28th UW-Extension Building Your Dairy Future: Robotic Milking Systems Performance & Efficiency has been CANCELLED.